I've been using QGIS 2.x LTR version for quite some time now (mostly for Lizmap webclient because 3.x didn't perform as well), but today as I wanted to install QGIS on another PC, I realized I couldn't find QGIS 2.X LTR on their website anymore. Does anyone know, will the new QGIS 3.4.5 LTR replace the 2.X LTR version for ever, causing me to upgrade and test on a newer version? Or is this just a temporary decision? For Lizmap, they plan to release a version 3.3 soon to be compatible with QGIS Server 3. It seems they need to wait for the QGIS 3.4.6 bugfix release (March 22th according to the roadmap link above). It's true that Lizmap 3.2 is not fully compatible with QGIS 3. 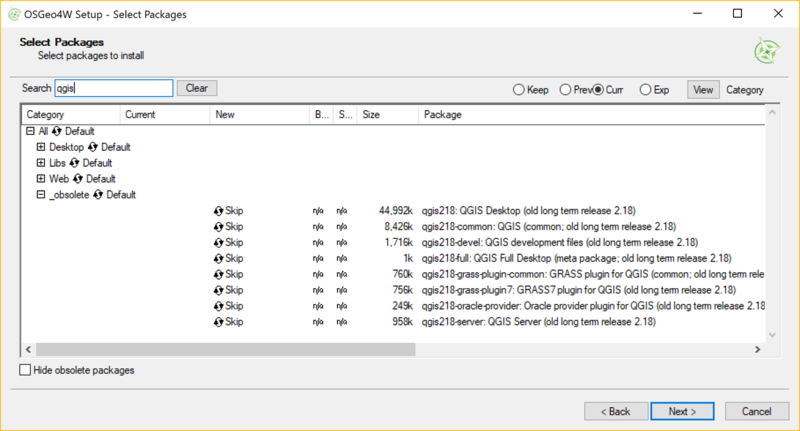 QGIS 2.18 was replaced by the first 3.x LTR-version but you can still download and install 2.18 with the OSGeo4W-installer. Just search for the term qgis218 in the installer. Not the answer you're looking for? Browse other questions tagged qgis qgis-3 qgis-2 lizmap or ask your own question. GPS with QGIS--what happened to the capture point? What happened to the GRASS Browser in QGIS? What happened to the changelog on QGIS 3 plugin info page? Getting qgis-ltr-bin.exe - System Error?